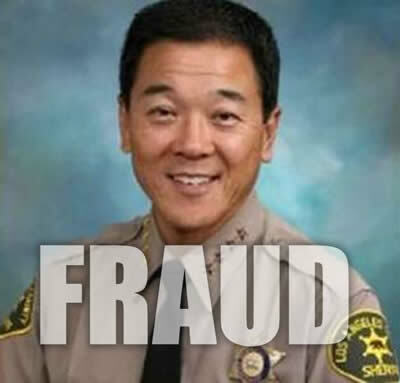 Frauds like Deputy Paul Tanaka commonly get hired and infect law enforcement. He felt he was above the law and could lie and get away with it. The solution is there should be no second chances, any officer who lies period in any capacity can not be trusted and should be terminated without pay or benefits. If the law was as harsh as it is on the public when it comes to those we trust to enforce our law they’d not commit the crime. Its as simple as parking in the red or using emergency vehicles to avoid the law. Everyone must be held personally responsible and accountable. Getting a badge and uniform does not mean you can then lose respect for law. Paul Tanaka’s 31 years with the Los Angeles County Sheriff’s Department came to an end by the scandals that plagued the department. The Los Angeles County sheriff faced allegations he was guilty in numerous crimes exposed by the scandals. In 2012, a blue ribbon commission issued a searing critique of Sheriff Baca, Paul Tanaka and others, accusing them of fostering a culture in which deputies beat and humiliated inmates, covered up misconduct and formed aggressive deputy cliques in the county jails. Paul Tanaka, 56, surrendered to authorities after being indicted by a federal grand jury investigating excessive force and corruption in the jails. Also indicted was a retired sheriff deputy William Carey. Peter Wallin, Gardena’s city attorney, said the indictment did not require Tanaka to step down as mayor. Which is sad considering Paul Tanaka is now a proven criminal and liar. He most likely got to be mayor by using his Sheriff deputy position which he does not deserve. So we guess now knowing Paul Tanaka is a liar and criminal changes nothing? Like time to go to prison, but hey lets not take away his million dollar pensions and talk about the other dishonest things he may have done. While if the public did what this monster did they’d lose everything. Let’s not talk about how easy it was to get away with his crimes all these years due to this position and uniform. Thus no other crimes or history are known. No need to wonder why citizens who report criminals working for the county are ignored when in fact those in charge are the biggest con-artist, liars and criminals themselves. Several deputies who served under Tanaka were convicted last year for the obstruction of a federal investigation into corruption and abuse in the county’s downtown jails. The indictment unsealed Thursday claims Tanaka and former sheriff’s Deputy William Carey, both 56, orchestrated the misconduct.